A Reason to Remember. A Reason to Celebrate. 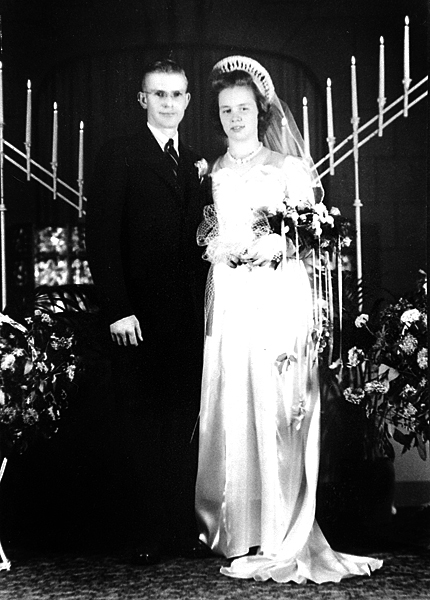 Today would have been my Grandparent’s 68th Wedding Anniversary. The picture below sits on our mantel and is a daily reminder of my heritage and legacy of love. They were an example of faith, hard work, love and commitment. So many parts of who we are today came from our families that paved the way. I’m seeing my mother feel the pain of her parents not being here a little stronger today. This pains my heart and makes me long for them as well. After shedding some tears of their absence this morning I went and picked up a smiling baby out of her crib. I told her about her grandparents and how much they love her and what they were like. It’s now my responsibility to tell her of her legacy and connect the past with the present until we are all together again. It’s now our responsibility to teach the next generation of faith, hard work, love and commitment.